We help your company explore the power of AI to benefit people and society. We design and build tailor-made and fully-automated software that solves your business problems efficiently. With our artificial intelligence as a service offering, we provide cutting-edge technology to help you make better, data-driven decisions. We teach machines to make predictions and recommendations, detect objects and anomalies, uncover hidden patterns, and optimize processes. Our experienced data science team will extract actionable insights from your unstructured data. With beautiful and expressive data visualizations our creative minds can clearly communicate the story of your data. Are you AI ready? We can analyze your data pipelines, identify possible bottlenecks and inefficiencies, and show how to solve them. We are a team driven by the idea of helping people and companies explore the potential of machine learning in a meaningful and efficient way. Our values lead us to build a company that we are happy and excited to be part of. 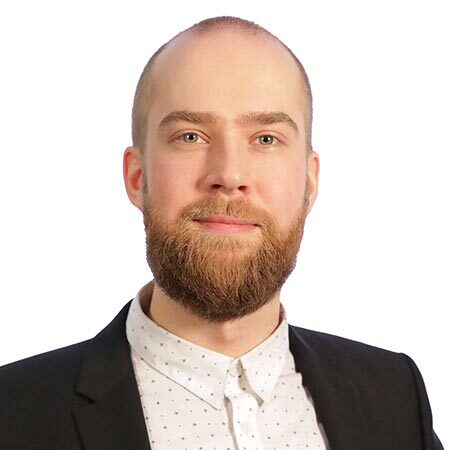 Tuomas is a creative problem solver whose optimism and hard-working attitude has rarely stopped him from solving even the most difficult challenges. He has a strong data scientist background combined with experience from the world of bioinformatics. 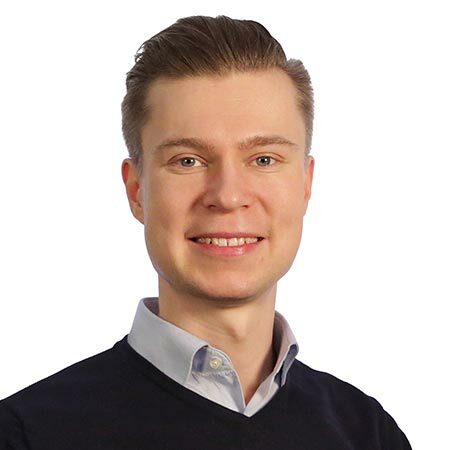 What motivates Tuomas is making full use of the potential of machine learning in a society to promote the well-being of people. Masi is a quality-oriented person with a scientific approach to work. He has a solid experience in signal processing and software development, with a particular interest in the field of computer vision. When Masi is not designing new algorithms at the office, you can find him working part-time on his PhD with the focus on data science applications in cancer research. Juho knows the fundamentals of business. He enjoys creating solutions and is always willing to help. Negotiating and critical thinking are his passions. 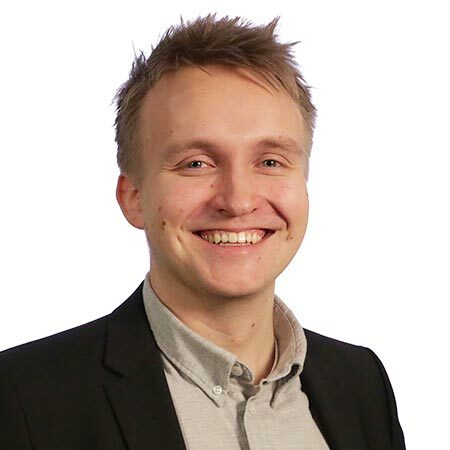 Juho also has an eye for design whether it’s service or visual design. He has a background in accounting, marketing, and organizational communication. Our mission is to make a better world by helping companies deploy machine intelligence to benefit people and society. Our vision is to be a company where people can do meaningful work in a setting that supports learning and well-being. The values we stand for are quality, responsibility, and transparency. Leave us a message and we'll get back to you in 24 hours. Together we can figure out how machine learning can benefit your business. © Artific Intelligence Oy. All rights reserved.